Selecting his most evocative and thought-provoking imagery, this BBC Wildlife Photographer of the Year, top Instagram photography influencer, and speaker, takes you deep into a world he loves. Bathed in polar light, Nicklen’s photography breaks new ground, offering a vivid, timely portrait of two extraordinary, endangered ecosystems. In a wise intertwining of art and science, Nicklen’s bold expeditions plunge him into freezing seas to capture it all, from sea to sky, all species and all habitats, including unprecedented, up-close documentation of the lives of leopard seals, whales, walruses, polar bears, elephant seals, penguins, and narwhals. A captivating and important volume of fine art wildlife photography that illustrates Nicklen’s vision of seeking out truth and change through his work via his foundation with Cristina Mittermeier, SeaLegacy, a non-profit environmental organization. 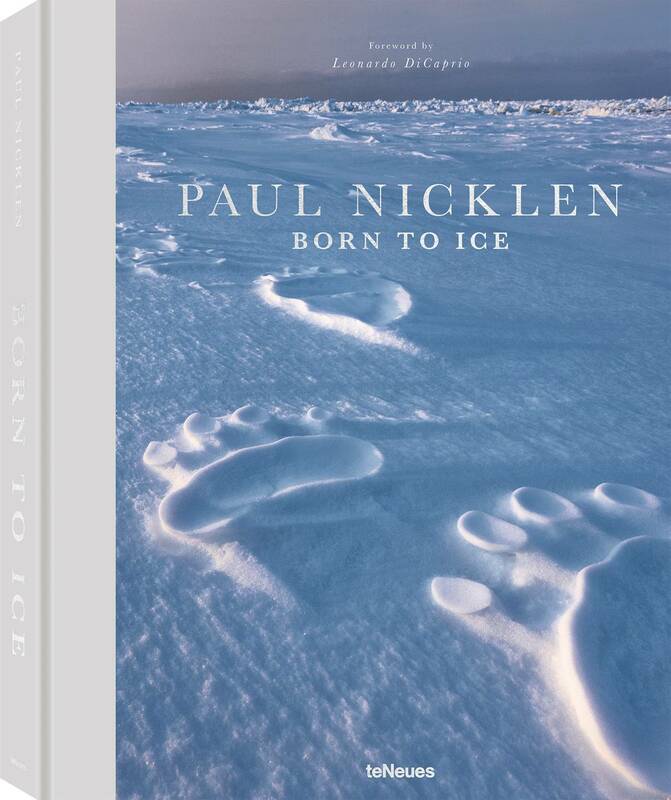 SeaLegacy co-founder, National Geographic photographer, acclaimed ocean conservationist, and TED Talks favorite, Paul Nicklen traces his extraordinary love affair with the polar regions in his most recent book, Born to Ice. His powerful images of iconic arctic and antarctic wildlife and scenery, coupled with his inspiring photographic storytelling, blends ethereal beauty of the icy landscape with a compelling call to action. To witness the Arctic and Antarctica through Paul Nicklen’s lens is to experience hope in action. Born to Ice showcases the life’s work of an artist whose love for the landscape—and each animal in it—is so palpable that emotion echoes throughout every image. As a collection, the images build in scope and power, leaving you profoundly affected and deepening your sense of commitment to protect these stunning parts of our planet. The Arctic is in Paul Nicklen’s blood. Raised on Baffin Island, Nunavut, he grew up in one of the only non-Inuit families in a tiny Inuit settlement amid the ice fields, floes, and frigid seas of Northern Canada. At an age when most children are playing hide-and-seek, he was learning important lessons on survival: how to read the weather, find shelter in a frozen snowscape, or live off the land as his Inuit neighbors had done for centuries. Today, Nicklen is a naturalist and wildlife photographer uniquely qualified to portray the impact of climate change on the Polar Regions and their inhabitants, human and animal alike. Whether he is diving off the floe edge in the Canadian Arctic or sitting on a piece of glacial ice in Antarctica to scout for leopard seals, Paul Nicklen goes to great lengths and depths to secure his award-winning images of life in the polar regions. This National Geographic-featured photographer and conservationist never shies away from extreme and challenging conditions as he feels urgently compelled to connect a global audience to the species and ecosystems he cares so deeply about. One of the world’s most acclaimed nature photographers, Nicklen focuses on marine wildlife and polar environments. For Nicklen, we must act now to save Earth’s delicate ecosystems and the precious diversity of life. Combining some of his most extraordinary photographs with personal experiences—educational and inspirational—this stunning Paul Nicklen photo compendium is both a remarkable collection of nature photography and a passionate rallying cry to stand up, have a voice, and enact positive change for our planet.